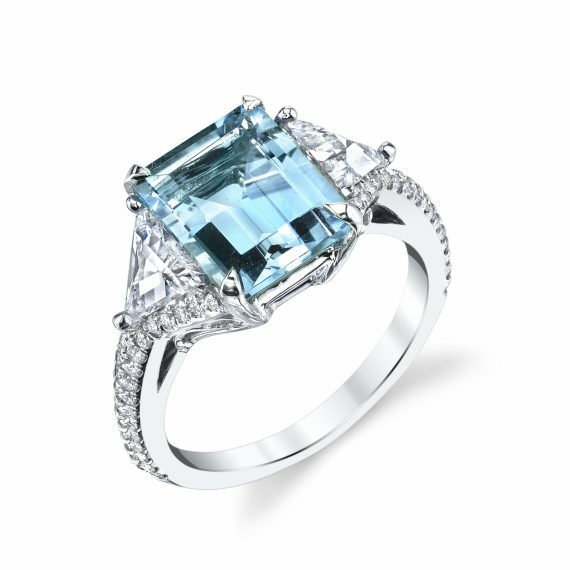 18k white gold ring featuring a central emerald-cut fine aquamarine of 2.80 ct. 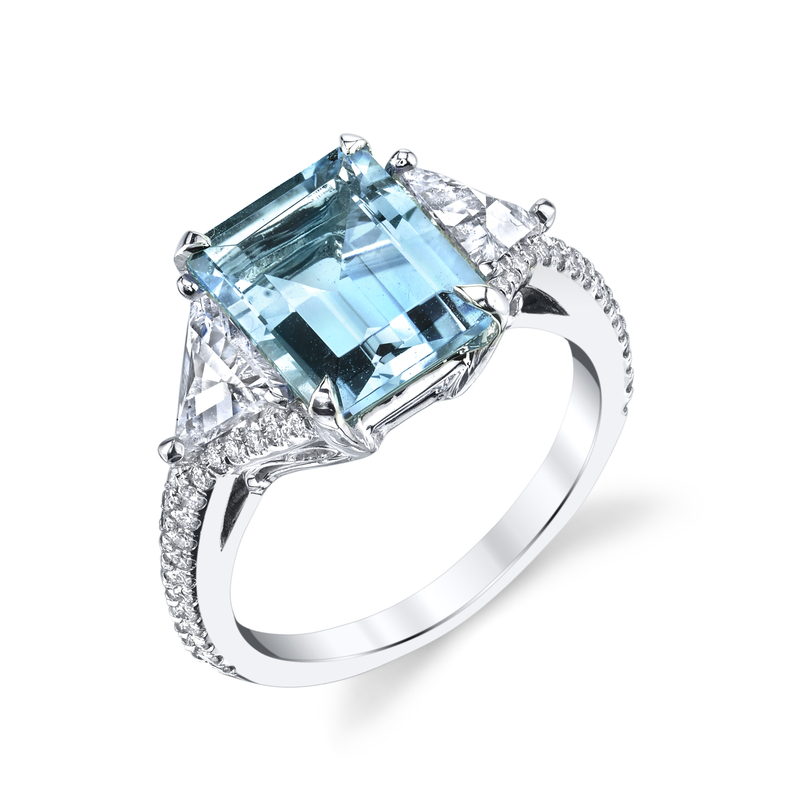 The slightly greenish blue aquamarine is flanked by rose-cut trillion diamonds (0.75 ctw). The aquamarine and trillions are all prong set. Diamond pavé (0.28 ctw) extends from the band to partially frame the trillion diamonds. An airy, open gallery keeps the ring from feeling heavy. This ring is currently a size 6. Please contact our concierge to resize. The first sizing is complimentary with purchase.